Bender with 10, 12, 14, 15, 16, 18, 22 mm copper Formers. Makes up to 90° bends in 10mm to 22mm soft copper and coated soft copper tubing, and 32mm in multilayer tubing. 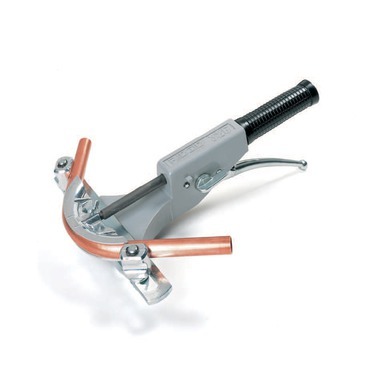 Unique sliding mechanism places formers quickly in correct tube diameter position.